It comes to something when food producers have to change their packaging for customers who just cannot open the tin. That's the case with pie producer Fray Bentos. It appears that the well know steak and kidney pie producer is having to redesign its tins after nearly 60 years, because millennials (those born between 1981 and 1996) can't open them. 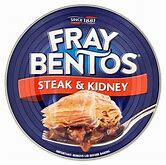 I have enjoyed years of Fray Bentos's delicious steak and kidney pies, since it first hit our supermarket shelves in 1961 - its flaky pastry topping, cooked in the tin for a good 30 minutes, until the meat is tender and the rich lush gravy steaming. Yes, one needed a good can opener to tear through the tin's top disc, reminiscent of a 45'' vinyl record, but that was part of the fun. So what's the problem for the younger generation of foodies? Apparently, videos on YouTube (where else can one find the food hub of a generation?) have showed Fray Bentos customers breaking their tin openers trying in vain to get into the product. Some folk have even resorted to using hammers and screwdrivers, after complaining that the metal tin was too thick. I don't have a problem and I've had the same simple but robust can opener for years. 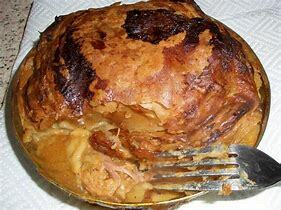 Sadly, today's pie fans have forced Fray Bentos owners, Baxters, into a redesign after 57 years of tin production. They are working on a solution to improve the 'openability' of the can. Well Baxters, you might satisfy these poor weak millennials with a zip opening or a foil lid! !